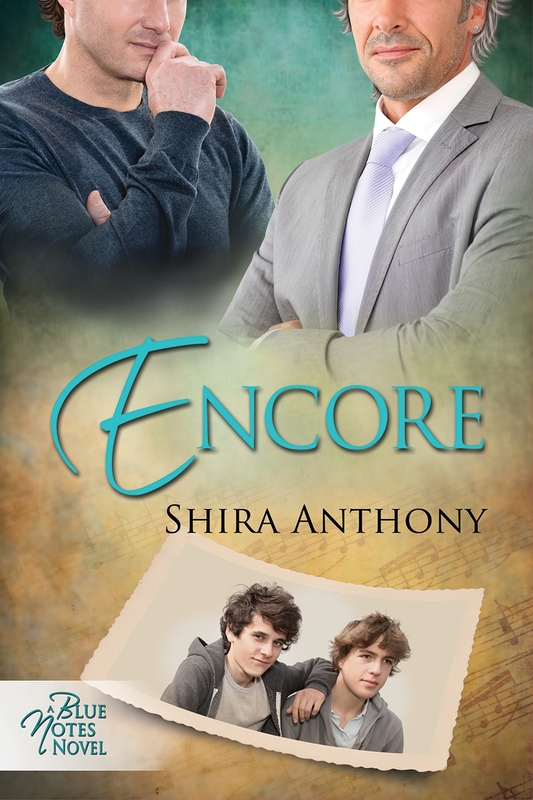 Encore, the fifth installment in the Blue Notes Series, was released on November 11th. On December 25th, Christmas Day, the sixth book in the series and first holiday novella, Symphony in Blue, will be released by Dreamspinner Press. Symphony in Blue is also my 10th Dreamspinner Press release! Be sure to check out the Blue Notes Holiday 2013 Blog Tour contest to be entered to win some super prizes, including a brand-new Kindle e-reader loaded with ebooks. Click here to enter on Rafflecopter. You can enter more than once, and there are lots of ways to enter. The contest ends on New Year’s Eve! To say that Encore is near and dear to my heart might be a bit of an understatement. There is more of my heart in this book than any other book in the series (or any other book I’ve written). For those of you who might not be familiar with my personal story, here’s the quick background. I’m a lifelong musician who played violin for 17 years and sang opera professionally for about as long. My mother and my sister were also musicians (my mother is still performing on her harpsichord in her late 70s!). Music is in my brain, my heart, and my soul. Giving up my music career was very difficult for me. Fast forward to Encore, the 5th book in my of classical music themed gay romance series, Blue Notes. Of all the books in the series, this one has the most connections to my childhood and my early experiences with music. One of them is the violin that plays a pivotal role in the story. That was my violin. Roger Nelson, once of the main characters, is a supremely talented violinist. For reasons I won’t go into here (don’t want to spoil the story! ), he loses his ability to play the violin when his career is just about to take off. His grief over the loss of his music is one of the main sources of tension in the story. 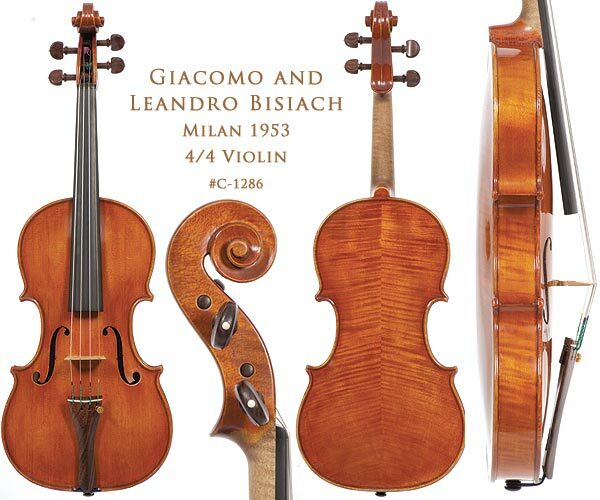 At the source of that grief is his beautiful violin, a stunning Italian instrument made by Leandro Bisiach in the late 1800s. That violin is Roger’s heart and soul incarnate. I owned that instrument for about fifteen years, and when I sold it, I felt a real sense of loss. It was like I said goodbye to one of my oldest and dearest friends, knowing I’d probably never see that friend again. 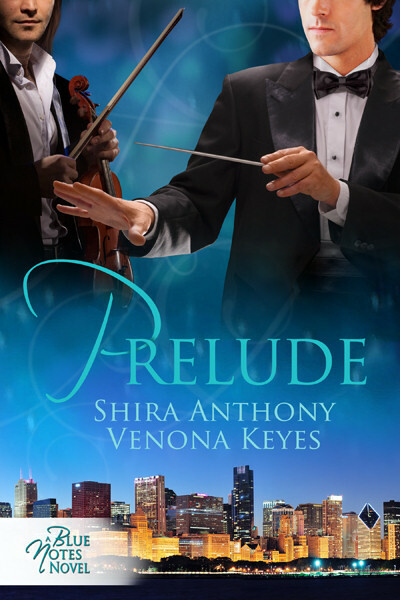 Roger’s violin made its first appearance in Prelude, one of the other Blue Notes Series books. In it, there’s a flashback scene where violinist Alex Bishop plays for the music director of the Chicago Symphony Orchestra, the other main character in Encore, John Fuchs. His violin teacher? Roger. Alex is overwhelmed when his teacher, Roger, gives him a new violin. But Alex doesn’t understand the true significance of that gift. In Encore, we see the truth behind it. And the moment when Roger passes that violin on to the next generation of musicians is a pivotal one between the main characters. This time it was Roger who coughed. “So I’m told you’re interested in NEC.” John gestured for Alex to sit down next to him, then motioned for Roger to bring Alex a bottle of water. “If you’ve got the talent, there are scholarships available.” John’s expression was both understanding and kind. He silently hoped he could manage to play in front of Fuchs without falling on his face—the man was a legend! He’d listened to the conductor’s recordings when his mother was still alive. How old would he be now? Late forties? Fifties? Like most teens, Alex wasn’t very good at judging age, and in spite of the white hair, John’s face was full of youth. Expressive. Attractive too. Alex squirmed in his seat. In all honesty, he loved working with the younger students, but he was more uncomfortable with starry-eyed girls than he was with his teacher’s praise. “The first movement of the Wieniawski violin concerto.” Alex was relieved to be moving on from the uncomfortable conversation—playing his fiddle was familiar territory and something he wasn’t self-conscious about. Roger nodded in tacit approval, then walked over to the upright piano pushed up against the studio wall and pulled a piece of dog-eared music from the substantial pile on the piano’s stand. The piano bench creaked as he sat down. “This one’s fine, Maestro.” Alex tightened his bow and tucked the violin under his chin. Alex stared at Roger in stunned silence. He had no other violin, and he had no money to repair the crack on the top of the old fiddle, let alone buy another instrument. Why would he bring this up now? “But, Maestro, I… I…,” he stammered, his face hot with shame. He knew the violin was woefully lacking, even though he loved it dearly. He’d asked his social worker about whether there might be money available to buy a new one, but she’d just sighed. He was lucky the state paid for his rent. Alex fought the urge to sink into the floorboards and disappear. “Roger….” John blew out a breath that sounded like air being released from a steam pipe. John scowled and shook his head again. “You have a far more suitable violin to play.” Roger pulled a brand-new violin case from behind his back and held it out to Alex. Alex stared at the case, then back up at Roger, uncomprehending. “S-sure.” Alex gingerly laid the case on the table and popped open the latches to reveal a green crushed velvet lining. Inside were a beautiful violin and not one but two bows. Alex’s jaw dropped. One of the bows alone was probably worth more than he earned in an entire year playing for tips. “My gift to you, Alex Bishop.” Roger glanced over to John, the wrinkles around his eyes more pronounced with his broad smile. “But really, I can’t—” Alex could never pay his teacher back for this. It was a gorgeous instrument. Italian, probably nineteenth century. Alex guessed it sounded as magnificent as it looked. It must have cost a fortune. Thousands of dollars. Tens of thousands, even. “Promise me that you’ll send me tickets to your Boston Symphony debut,” Roger said, deadpan.